Meydenbauer is a Bellevue community, located on Meydenbauer Bay, an inlet on the eastern shore of Lake Washington, just west of downtown Bellevue. This area serves as an in-city oasis, offering Meydenbauer waterfront real estate owners the chance to live in a magnificent home in a city that’s been named among the country’s top places to reside. The neighborhood hosts the Meydenbauer Yacht Club, a marina and public beaches, while being close to major employers, a downtown filled with upscale shopping from independent boutiques to large, high-end stores, countless world-class dining opportunities and more. Nearby on Main Street, located within walking distance from many homes around the bay, are some fabulous bakeries, delis, bistros and other eateries. Having Meydenbauer real estate brings the best of the great outdoors as well as waterside and city living. You may be able to launch your boat right from home, along with accessing a wide range of water sports, like paddleboarding, kayaking and wakeboarding, not to mention being able to marvel at those spectacular water and mountain views. The Bellevue Marina at Meydenbauer Bay offers both covered and uncovered moorage, while the Meydenbauer Bay Yacht Club is one of the premier yacht clubs in the region, offering the chance to connect with like-minded boaters, and to participate in all sorts of cruising and social events. Numerous recreational activities can be enjoyed on land as well, including hiking and mountain biking in one of multiple scenic parks, while some of the best golf in the state is available just minutes away. Meydenbauer waterfront real estate includes some of the most luxurious estates in the nation. 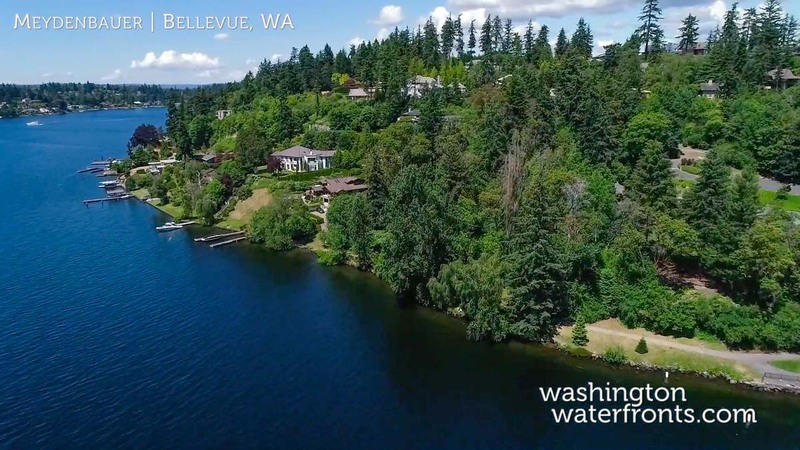 Think homes with thousands of square feet, and jaw-dropping views of Lake Washington, the Seattle skyline, sunsets, mountains and more, from every level, along with all of the luxuries you’d expect, even a massive indoor pool, private dock and boat lift. Take advantage of our industry-leading tools to make your property search as easy as possible and be sure to register for a FREE account so that you can receive email alerts whenever new Meydenbauer real estate for sale hits the market. If you’re seeking to sell your Meydenbauer property, contact our Waterfront Specialists directly for a comprehensive listing analysis and to learn more about the cutting-edge marketing strategies we’ll use to sell your home quickly for top dollar!